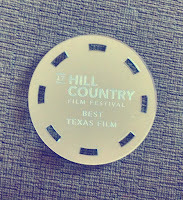 What a great weekend at the Hill Country Film Festival in Fredericksburg, TX. 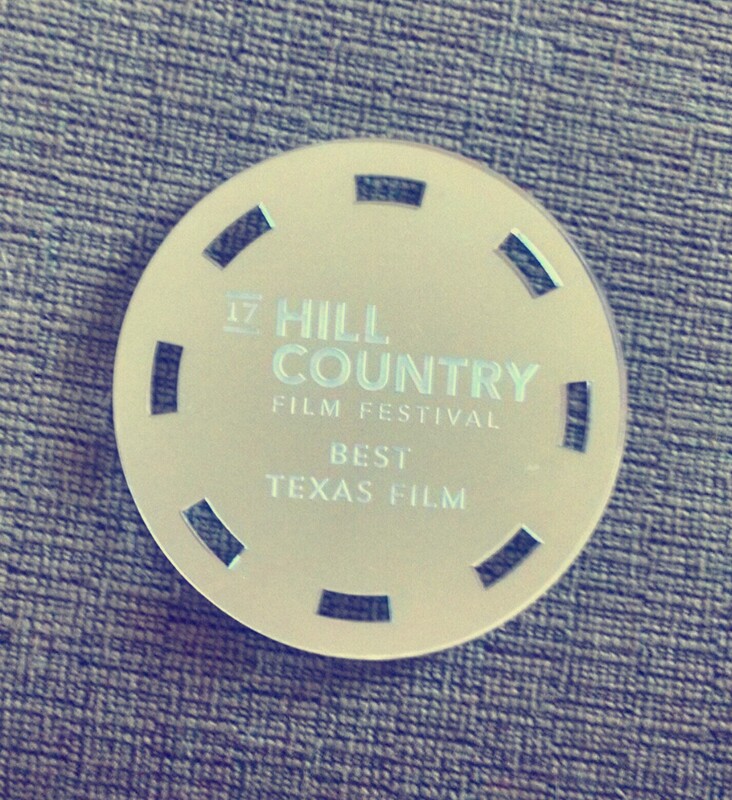 In addition to getting to watch some amazing films and attend excellent panels, we also picked up an award for Best Texas Film! The film was selected for the honor out of all the films, both short and feature length, produced by Texas filmmakers and was announced at the banquet Saturday night. 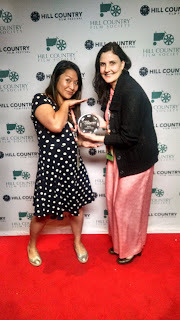 Writer/Director L. Elizabeth Powers was on hand to accept the award, as well as was Producer and Assistant Director, Christine Chen. Prior to the banquet, the film screened to packed house at the Fritztown Cinema on Saturday afternoon. 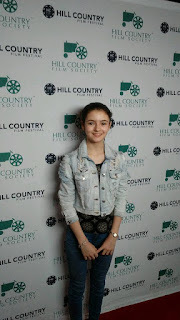 Lead actress, Frances Watson was on hand to assist the director and producers with a Q&A and the team garnered a round of applause. We are very honored to be given an opportunity to screen our film among so many other great works, much less to pick up the Best Texas Film award!